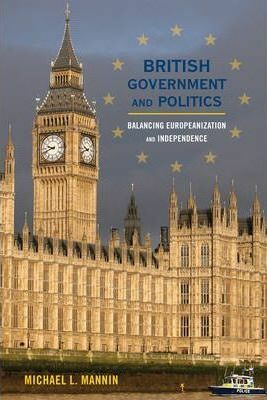 This deeply informed text sets the government and politics of Britain firmly in the context of Britain's enduring membership in the European Union. Michael L. Mannin thoroughly applies the concept of "Europeanization" across the political system to explore how far change is a product of Britain's interdependent relationship with the EU. Ideal for courses in British and European politics, this book breaks new ground in exploring the complex interdependence that the EU should bring to the study of European political systems. Chapter 8: The Executive: Managing Decline in a Shrinking World? Michael L. Mannin is Jean Monnet Chair of European Studies at Liverpool John Moores University.